We did some work to verify that compilation with Java 11 is working and that all unit-tests pass. See the details in the FAQ entry. The Apache POI team is pleased to announce the release of 4.1.0. This release features a new EMF renderer and support of SVG images in XSLF, improvements to Java 9+ support, a handful of new formula function implementations and numerous bug fixes. Several dependencies were also updated to their latest versions to pick up security fixes and other improvements. POI requires Java 8 or newer since version 4.0.1. The Apache POI team is pleased to announce the release of XMLBeans 3.1.0. Featured are a handful of bug fixes. 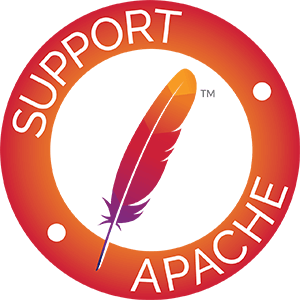 The Apache POI project has unretired the XMLBeans codebase and is maintaining it as a sub-project, due to its importance in the poi-ooxml codebase. A summary of changes is available in the Release Notes. People interested should also follow the POI dev list to track progress. The XMLBeans JIRA project has been reopened and feel free to open issues. POI 4.1.0 uses XMLBeans 3.1.0. XMLBeans requires Java 6 or newer since version 3.0.2. Apache POI in versions prior to release 3.15 allows remote attackers to cause a denial of service (CPU consumption) via a specially crafted OOXML file, aka an XML Entity Expansion (XEE) attack. Users with applications which accept content from external or untrusted sources are advised to upgrade to Apache POI 3.15 or newer. Thanks to Xiaolong Zhu and Huijun Chen from Huawei Technologies Co., Ltd. for reporting the vulnerability. For each MS Office application there exists a component module that attempts to provide a common high level Java api to both OLE2 and OOXML document formats. This is most developed for Excel workbooks (SS=HSSF+XSSF). Work is progressing for Word documents (WP=HWPF+XWPF) and PowerPoint presentations (SL=HSLF+XSLF). There are also projects for Visio (HDGF and XDGF), TNEF (HMEF), and Publisher (HPBF). So you'd like to contribute to the project? Great! We need enthusiastic, hard-working, talented folks to help us on the project, no matter your background. So if you're motivated, ready, and have the time: Download the source from the Subversion Repository, build the code, join the mailing lists, and we'll be happy to help you get started on the project! To view the "Help Wanted" tasks, an internet connection is required.